POLLENTIA ROMAN FORUM 2017. MALLORCA, BALEARIC ISLANDS, SPAIN. XIVth year diggin in the most important roman town of Balearic Islands. SESSION: 2- 22 July, 2017The Roman Forum Pollentia program offers a hands-on experience in excavation and laboratory at a Roman archaeological site. 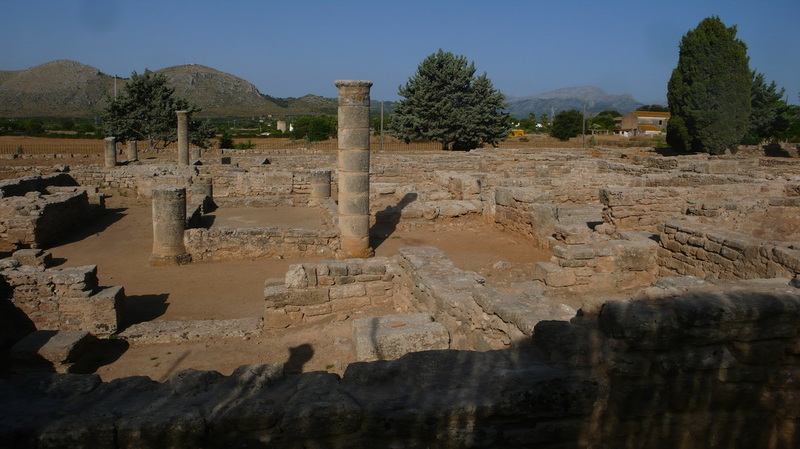 Those who join us at the archaeological excavation of Pollentia on the island of Mallorca will work as field crew on the ancient settlement of the city alongside professional archaeologists and students from different universities. You will be learning the methods and techniques of an archaeological excavation, using tools, of course, but also working with stratigraphy, using record sheets and writing down an excavation diary. Collecting, cleaning and classifying different artefacts will be part of your daily work as well as drawing structures and archaeological materials. You will be introduced in the study of Roman pottery and will find out how to get from inventories and storage in a museum to exhibitions. We will focus on the continuing excavation of the Forum, the heart of any Roman city. 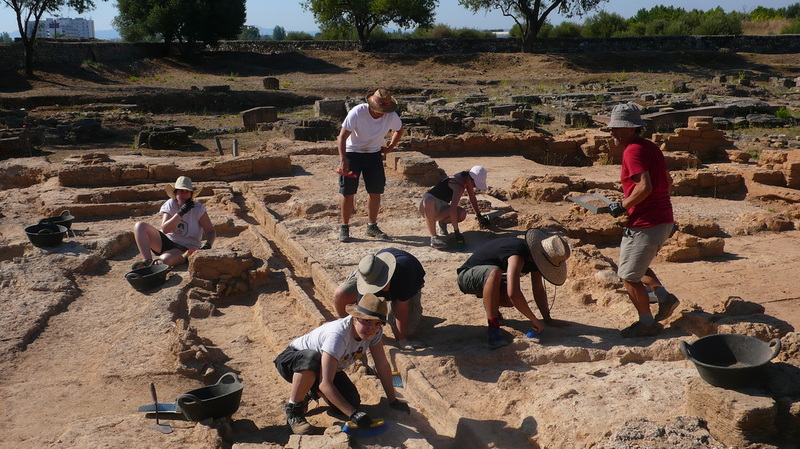 Students will contribute to the research that aims to piece together the story of how Roman culture developed across the Mediterranean and specifically in the Balearic Islands. All the participants are expected to engage in all archaeological activities during the program. While speaking Spanish is not required, you will be immersed in the language daily. The group, including ArchaeoSpain staff, will be staying at Carlos V ApartHotel in the center of Alcudia, a walled, medieval town. The hotel is about a five-minute walk from the excavation and students will be sharing double and triple rooms with air conditiMallorca is an island full of history and our group will take advantage of all the prehistoric and medieval sites of interestoning. Meals will be eaten at a restaurant, and an arrangement will be made to provide us with the mid-workday snack. Mallorca is an island full of history and our group will take advantage of all the prehistoric and medieval sites of interest. Alcudia is also located in one of the most beautiful areas of the island, and our group will have a chance to enjoy its charming beaches and landscapes. Prof. Miguel Ángel Cau, Ph.D.
Prof. Esther Chávez Álvarez, Ph.D.
Next topic: "ROMAN FORTRESS PULPON. ARCHAEOLOGICAL FIELD SCHOOL IN SPAIN"
Previous topic: "2017 Dig in the Roman City of Sanisera (Menorca, Spain) only $750 (one session, 18 days)"